Now that we had property and a building timeline, we needed to figure out how in the world to get this house built and not take 5 years! I (Jess), jokingly said “We could live in an RV or a tiny home.” And then mulling over that crazy idea we both kept saying “What if we did this? Could we actually do that?! 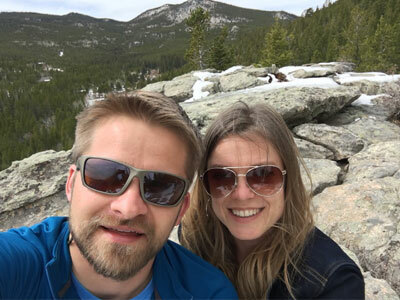 We’re crazy… right?” Well, fast forward to present day and we’ve made the decision to renovate a 5th Wheel camper and live in it full-time while we build our home. Crazy? Yes, but that never stopped us before! We can do it with a 5 year old, two grown adults and two cats. Challenge accepted! After doing tons of research (months actually), we decide that the best camper company is Keystone. The quality and construction of their products and their transparency sold us immediately! Meet our new (ahem, old) ’04 Keystone Montana, a fifth wheel camper that needs a bit of TLC on the inside. Structurally, it’s solid with no signs of water damage, rot or massive repairs. The only thing wrong is strictly cosmetic; the decals are fading away. Other than that, we’re going to give her a massive facelift on the inside (we address the decals down the road). The layout is great and spacious, allowing us the flexibility to customize the rear living to include a bunk bed, play area and full-time desk. The bedroom is huge for a 5th wheel! Justin can actually stand up, and it has a full closet and tons of drawers. BEFORE | The rear living space will become a bunk bed, play nook, and small desk. BEFORE | The tall ceilings and full sized closet was a HUGE deal for us! BEFORE | We’re replacing the sink and counter top, removing the shower since it is yellow and broken. We’re converting this area to a tub since our daughter still takes baths. The skylight is huge win! We’ll be documenting the whole renovation process with videos and blog posts, as well as updates on living tiny with a family. Check out a quick “Before” tour of our new home on wheels. Follow our journey as we live a tiny, minimal lifestyle while embarking on building our modern dream home in the Colorado Rocky Mountains. 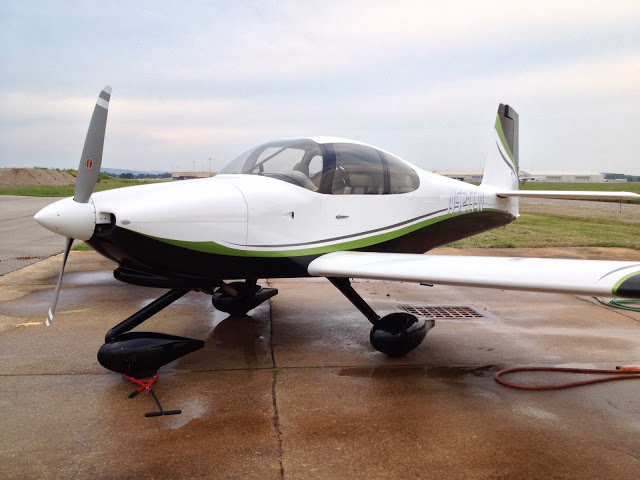 Read about our Vans RV-10 Airplane home build!